Linden Schaffer was an overworked, always-on-the-go professional who found time to refocus, recharge, and recommit to wellness. She shares her secrets for globetrotters in her new book Living Well on the Road; we love her tips for eating well, especially when flying. “Ok, I just need another hour of sleep and I’ll feel better,” I tell myself as I swallow two more Excedrin with a swill of Diet Coke in my empty hotel room. I lie down and pull the covers back over my head to block out the light seeping through the sides of the window shades. A pulsating migraine has taken hold, and I’m nauseous from the pain. An hour later my alarm rings again, and I drag myself out of bed, throw on leggings and a t-shirt, splash water on my face, and race downstairs to the parking garage, hoping I can make it to Sea-Tac airport in Seattle without missing my flight. I’m cutting it extremely close and praying that my airline status allows me a little leeway. Pulling up to curbside check-in, the sky cap glances at me in a way that tells me it looks and smells like I’ve been on a bender, when in reality this is what stressed out, burned out, overworked me looks like. I tip him to take my bag and sprint toward security, while at the same time calling the rental car company to let them know that their car is sitting at the departure terminal. I hear my name over the loudspeaker for final boarding at the gate as I hand over my ticket, breathing hard and feeling ready to puke. Scrambling down the aisle, I take my middle seat and promptly pass out for the 5-hour flight. When I finally make it home to my bed I’m feeling a bit better, but know that I’ll be calling in sick tomorrow. If there was ever a time to use a sick day, it’s now. I would like to tell you this was the tipping point for me, that Aha! moment where things clicked into place and forced a dramatic change in the way I was living and travelling, but I’d be lying if I did. In reality, progress is slow, especially if you don’t know what steps you need to take in order to meet your end goal. All I knew in this moment was that I was exhausted and I didn’t have the brain or body power to do anything except lie still and hope I could figure out what to do next—after I got some much-needed rest. As my work travel schedule wasn’t about to let up anytime soon (and I truly did love being on the road), the next few years became about focusing on what I needed to do to stay healthy both when I was at home and in some foreign place outside of my normal routine. I started to cook more and eat out less, leave work, and head to a yoga class instead of meeting my friends out for a night on the town, or grab a book and bike up the West Side Highway looking for the perfect spot in the sun instead of sitting motionless in front of the TV on Saturday afternoons. Once I was able to parse the “feel-good” from the “not-so-feel-good,” I established a routine at home that made me feel so much better. Only then was I able to carve out time during my work trips to replicate these moments that kept me grounded, happy, and healthy and in turn made me better at my job. When travelling to Los Angeles, I started to book my hotel stays near the beach in Santa Monica so I could take advantage of the time difference and go for a run near the water before I started my day. In Vegas, I researched restaurants for company dinners until I found one that was farm-to-table yet met the needs of the clients we were entertaining. After a crazy week of meetings in Florence that culminated in a runway show and party, I slipped out before the last round of drinks and strolled back to my hotel, taking in the beauty of the city at night and having a Zen moment all to myself. Travel was part of my job, a part of my job that I loved. It’s encoded in my DNA and it led me to seek out career experiences where I could use travel to my advantage. 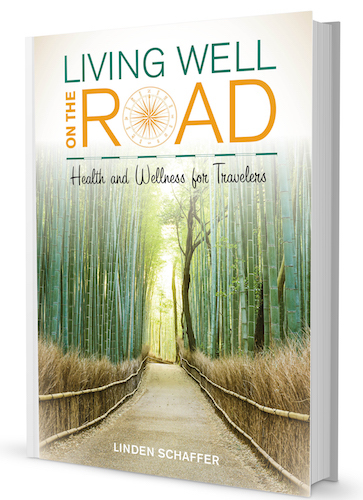 The moments of wellness that I learned to cultivate over the years began contributing to my wellness on the road in a big way. Travel gives you a new perspective on life. Travel disrupts your habitual brain pathways and allows you to learn from what is happening around you. Travel affected my personality by allowing me to be more open, more creative, and more conscientious. Travel allowed me to be better at my job and at my life. 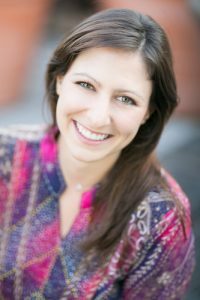 Linden Schaffer is a wellness travel expert, consultant, and founder of the first wellness travel company, Pravassa. When Linden is not travelling the world, she is based in New York City. Pick up your copy of her #1 Amazon bestseller! REST: If you don’t have access to the airport lounges, buy it. Try a yearly service like Priority Pass or purchase entry for the day and access a more quiet, tranquil space that often comes with healthier snacks and a place to shower. FIT: Wear your sneakers when you fly so you can walk laps around the airport before you board. ZEN: Resolve to let it go and become a master of patience as you pass through airport security. LOCAL: If your airport offers a connection to nature such as JetBlue’s Terminal 5 at JFK or Changi’s Nature Trails in Singapore get outdoors and get grounded. FOOD: If you can’t eat healthy before your arrival, look for fruits and vegetables for their high nutritional value and to stave off bloating. REST: Prebook a seat that will allow you to be the most comfortable and either sleep or rest during your flight. 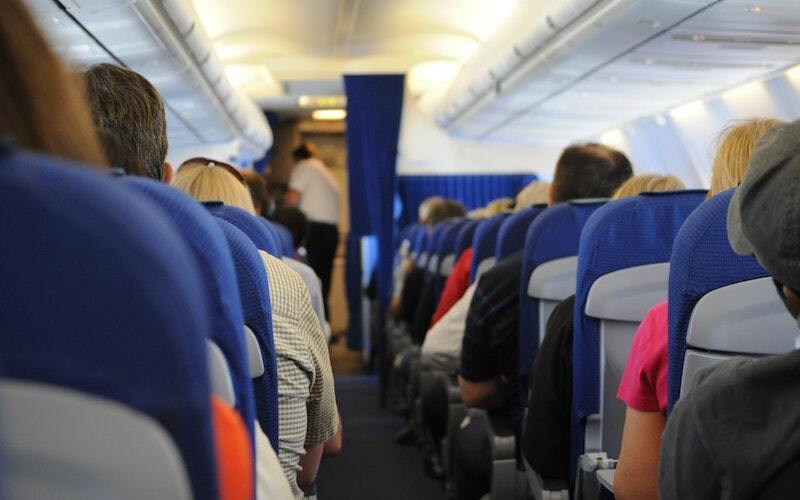 FIT: Walk the aisles or find a galley way without flight attendants and get your stretch on. ZEN: Practice mindful breathing by tuning out all the sounds around you and listen to your breath. LOCAL: Smile at your fellow passengers and offer to help put up their luggage if you see them struggling. FOOD: Skip it. If you haven’t brought your own snacks, use the opportunity to fast and let your digestive system rest.